We have just released Simple Failover v. 2.1. 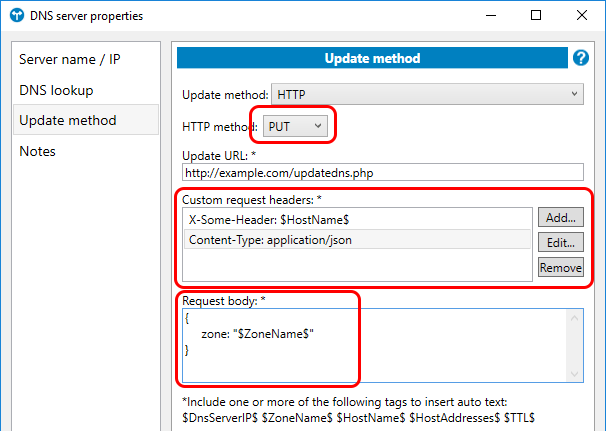 In this release we have added HTTP PUT requests and custom HTTP request headers for notifications and DNS updates via HTTP. This also makes it possible to send HTTP requests with different "Content-Type" headers - allowing for example JSON content in the request body. This was done to better support various HTTP / REST based services. This is a free upgrade for all licensed users of v. 2.0 including anyone who purchased a v. 1.x license on or after April 1st 2013.